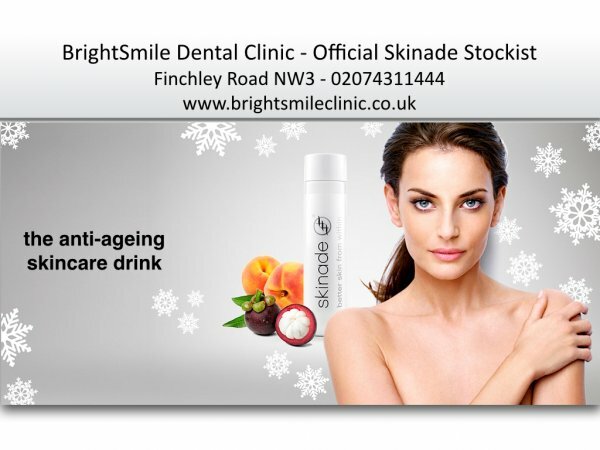 BrightSmile Dental Clinic is an official stockist for Skinade. You can contact us online, or by calling us on 02074311444, or simply come to our clinic on Finchley Road NW3, close to Finchley Road tube station and the O2 Centre. 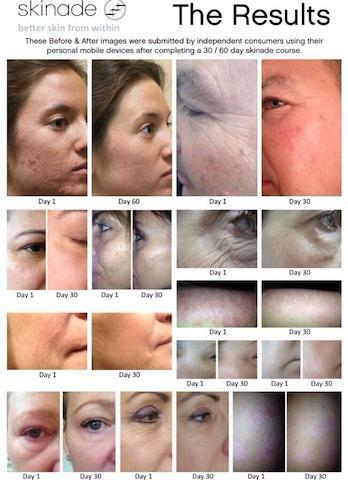 Drink Your Way To Younger, Healthier and Better Looking Skin! BrightSmile Dental Clinic is pleased to announce the NEW arrival of Skinade to our practice, a professional product that works from the inside out. You can check Skinade FaceBook page for testimonials from celebrities, photos and other pieces of news & information. Book a free consultation at our NW3 (Finchley Road) dental clinic. Our freindly and highly skilled dentists and cosmetic consultant are here to help you understand your ongoing dental health & facial rejuvenation options.